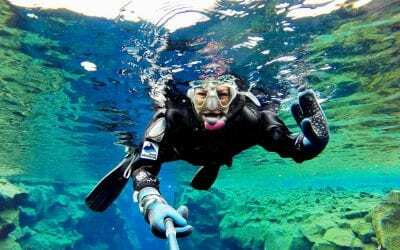 Snorkeling in Iceland has become one of the most popular things to do because of Silfra fissure. 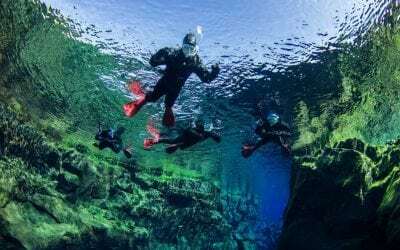 On this tour, you will snorkel in Silfra which is located in Thingvellir National Park which is a UNESCO world heritage site. 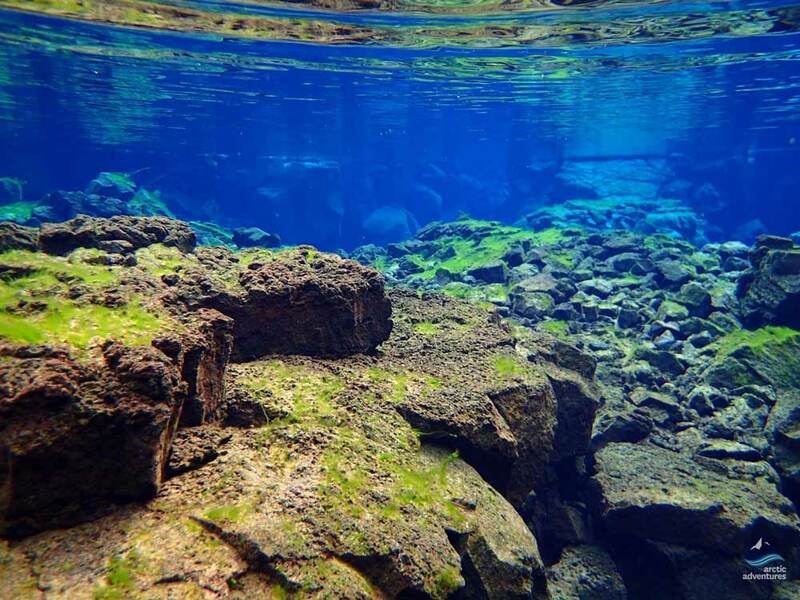 Silfra is a rift that opens between the tectonic plates of North America and Europe so you will be snorkeling in between the continents. 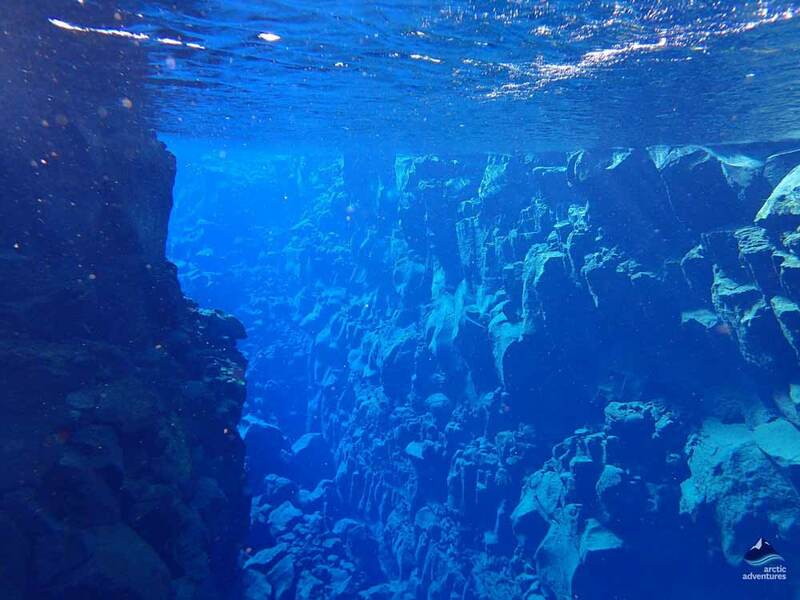 The water in Silfra is remarkably clear and has a visibility up to 100 meters. 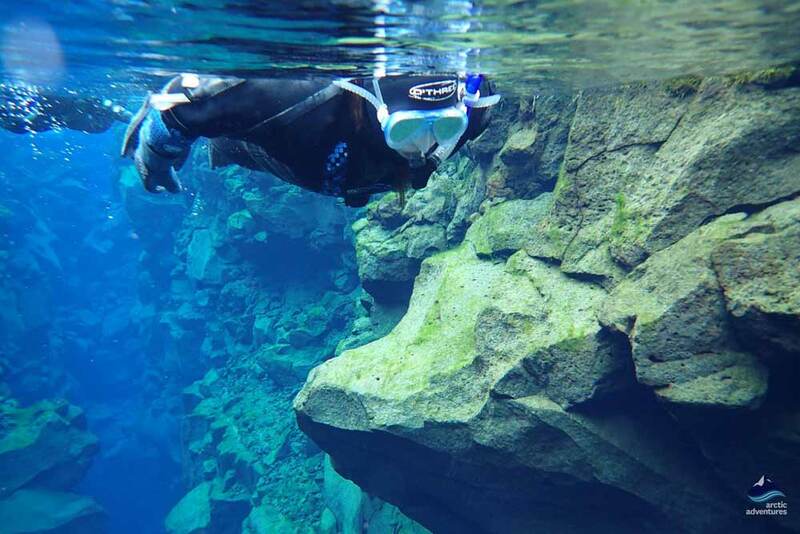 Snorkeling in Silfra is an unforgettable experience. Silfra is located in Thingvellir National Park in Iceland, known for being one of the three key attractions of the Golden Circle. 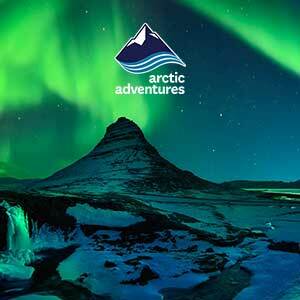 This tour offers a breathtaking snorkeling experience which is frequently rated as one of the world’s top ten dives. 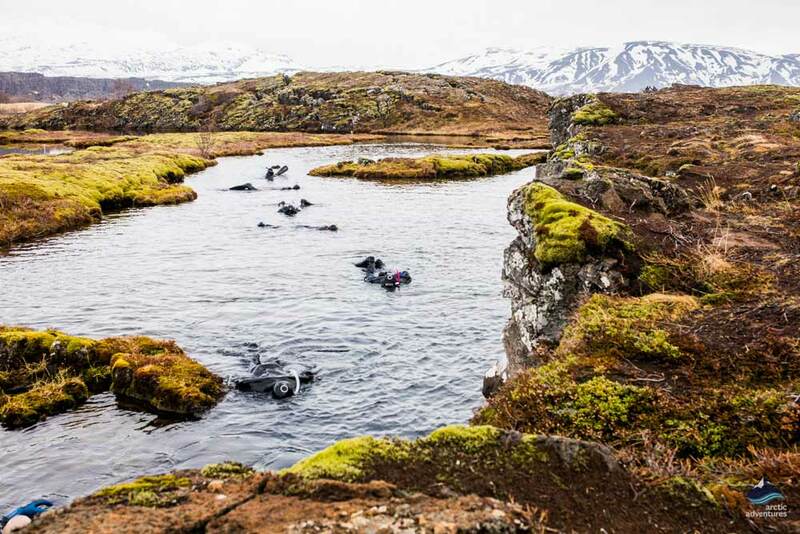 Snorkeling here in the canyon between the American and Eurasian tectonic plates, which have been moving apart at the rate of 2 cm per year, will take you into a magical sub-aquatic world. Colorful marine algae, including the bright green kind, often called ‘troll hair’ add jewel bright colors to this deep blue world. 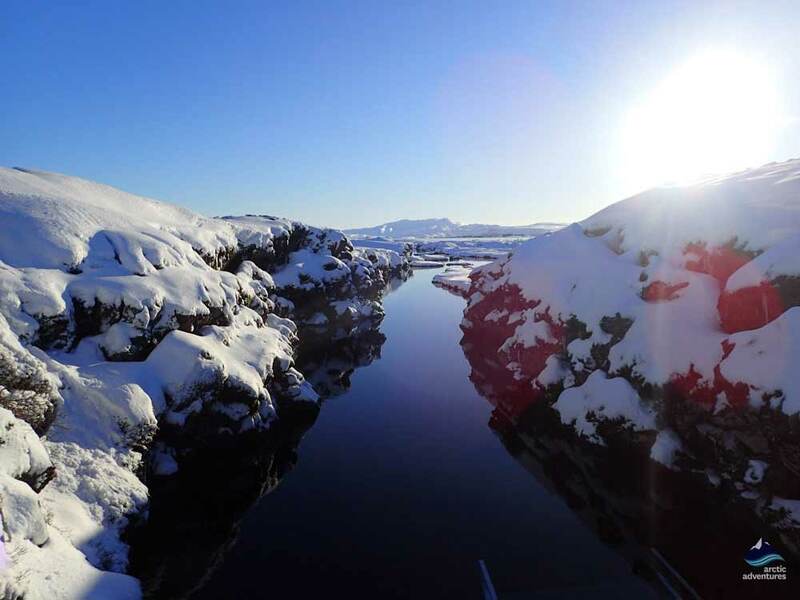 The water at Silfra flowed from Langjökull (Long Glacier), it has been purified on its journey through lava for around half a century, giving Silfra the unrivaled crystal clear visibility for which it is famous. This really is a remarkable dive, truly a once in a lifetime dive! 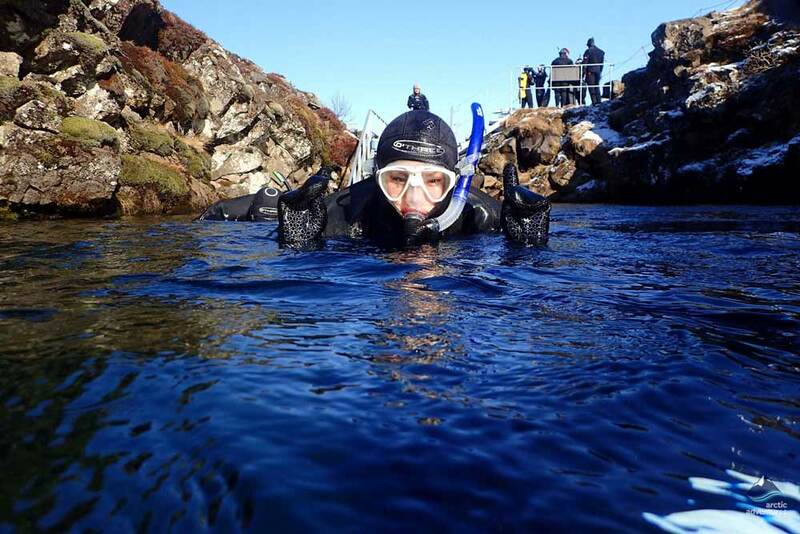 Our experienced and well-qualified specialist diving guides will ensure you are provided with all of the equipment and information you need to safely and confidently snorkel through the Silfra Fissure. 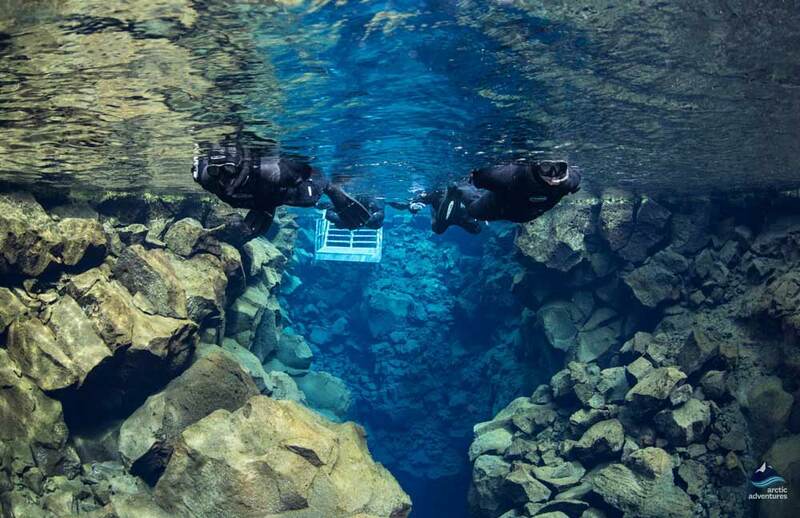 The water temperature at Silfra is between 2 C and 4 C but you will be nicely insulated in an undersuit and drysuit. Whether you are an experienced snorkeler or a beginner – this dive is an absolutely mesmerizing experience! 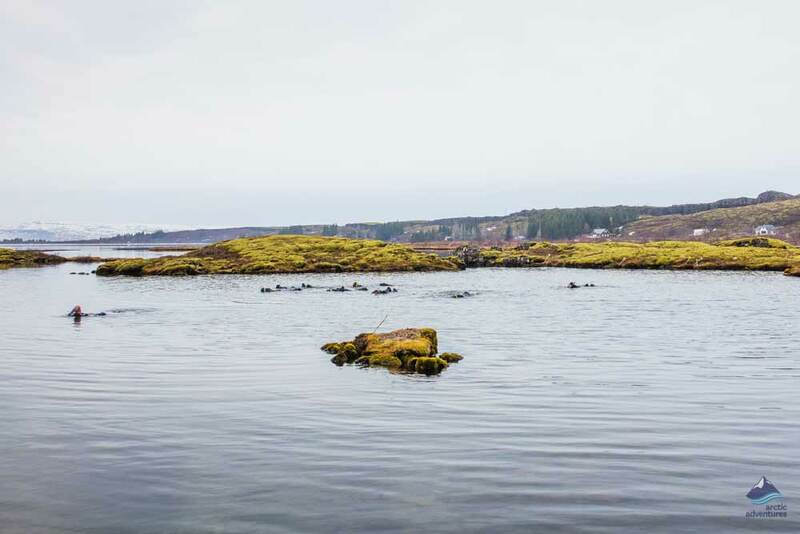 As you glide through Silfra, extraordinary rock formations will be revealed to you. 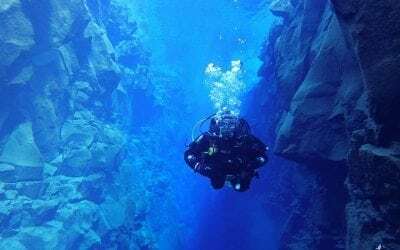 There are four sections, each with a different character: the deep Silfra Crack, the majestic Silfra Hall, the expansive and rich blue world of Silfra Cathedral and Silfra Lagoon which has the most incredible visibility. We warm up with a nice cup of hot cocoa before heading back to Reykjavik. Bring a waterproof camera because the photo opportunities are incredible! Pick up is at 08:30 am from your hotel or a nearby meeting point in Reykjavík. Picking everyone up can take up to 30 minutes, your patience is much appreciated. If you choose the Reykjavik pick-up option, then you will return to Reykjavík around 13:00 pm / 17:00 pm approximately. Remember to bring: Warm long underwear, preferably fleece/wool (no cotton! ), warm woollen socks and a change of clothes (can happen that your baselayer and socks get a bit wet).